NLC Recruitment 2019 - Apply Online for 35 Dy MO, Dy Chief Engineer & Other Posts in NLC, Tuticorin, Tamil Nadu, Ghatampur, Uttar Pradesh. 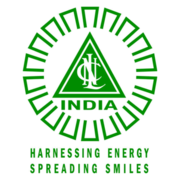 Online Applications are invited by NLC India Limited from 04 Feb 2019 10:00 AM to 25 Feb 2019 05:00 PM for 35 Vacancies. Diploma in Ayurveda Pharmacy with minimum duration of two years. Experience : Minimum 09 years post qualification experience in Engineering of Thermal Power Projects with units of 200 MW capacity each (single unit) & above. Degree in Electrical / Electrical & Electronics / Electronics & Communication Engineering. 02 Degree in Instrumentation / Electronics & Instrumentation / Instrumentation & Control Engineering. Experience : Minimum 09 Years post of qualification experience in Environmental Engineering. After applying online applicants need to send the hard copy/print out of online application form along with copies of all relevant documents & certificates in support of their age, qualification, cast, experience etc. to The Chief General Manager (HR), Recruitment Cell, Human Resource Department, Corporate Office, NLC India Limited, Block-1, Neyveli – 607801, Tamilnadu. The application with all relevant documents should reach on or before 04 Mar 2019.